Lawyer In Spain. Spanish Lawyers. Letting a house. Renting a house. Cartagena. Murcia. La Manga. Spain. For those coming to Spain, it is a good idea to rent a place in the area where they hope to live permanently, so they can make a careful survey of local conditions before buying. Renting may also be the best plan for people who do not wish to tie up in property. Spanish current Law of Urban Lettings (Ley de Arrendamientos Urbanos) went into effect on January, 1995. 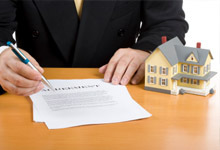 Two of its mains provisions make life easier for both landlords and tenants. The current law ends the forcible extension provision of the 1994 law, which made rental contracts indefinitely renewable by the tenant. The present law allows landlords gradually to raise the old controlled and ridiculously low rents of the 1964 law to market prices today and, eventually, to recover their own property. The law also provides tenants with more security than the 1985 law stipulated, now obliging landlords to renew residential rental contracts each year for up to five years.